We are excited to announce a special Poketo Pop Up shop inside The Museum of Contemporary Art (MOCA). The shop, which represents a joint effort between the museum and Poketo, will run through January 2018, and consists of a collection of Poketo goods that highlights our unique brand of lifestyle design. From desk supplies and writing utensils to notebooks, carrying cases and more, the curation features a wide array of goods that exemplify our “Art For Your Everyday” philosophy, including an enamel pin and two new designs of our classic Daily Weekly Monthly Planner, created exclusively for and in conjunction with MOCA. 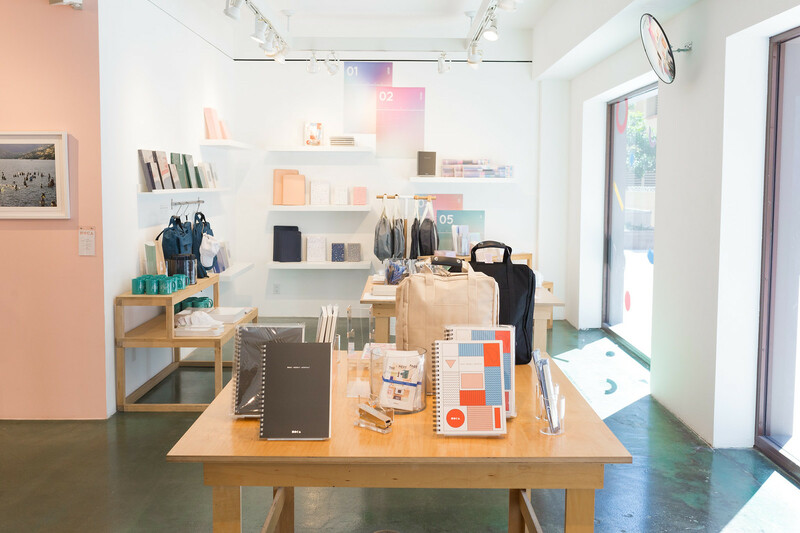 Both Poketo and MOCA have been longtime cornerstones of the Los Angeles creative community, and working together with them has been an absolute dream come true. We’re excited for this collaboration to both strengthen our roots here in LA and further extend Poketo’s brand ethos of “Art Everyday” to the world. You can learn more about the pop-up here and by following @mocastores and @poketo on Instagram for updates. Catch it before it’s gone, visit the Poketo Pop Up at MOCA, 250 S Grand Avenue, Los Angeles, CA 90012.